I Googled old boyfriends to see what they looked like with 30+ years under their belt. Those last three words are an understatement: a mismatched assortment of faces appeared, none of whom resembled the gangly youth I dated in high school and in my 20s. I wouldn't be able to pick them out of a line-up based on these "older" guy photos because their youthful images are stuck in my mind forever. Take the guy I chose as my first lover, Richard. He was a goofy-looking towhead with braces on his teeth. We were the same height at the beginning of 10th grade and had the same sense of humor. Giggling and passing notes in class, we were part of "the crack-ups," our self-named gang of nerds. I invited him to Sadie Hawkins and he invited me to the prom. These dates were pristine and saintly because his mom drove us. My father had warned me about high school boys on the day he returned me home to New Mexico after a year with him in Texas. He'd sat on my bed and wept, telling me how boys are. He knew because he'd been one of the bad boys. My father made predictions... he foretold a dire future for me, sitting that day on my cheap mattress that my mother had bought with quarter and dime tips. Undaunted, I relished the beautiful autumn in Santa Fe and my new boyfriend. Another summer arrived, and we had our driver's licenses at last. The entire Sangre de Cristo mountain range was ours in which to park and make out. I'd grown serious and had little to say. My father's predictions haunted me. How did one know when a boy was being bad, I wondered? Richard only made me feel good, and wanted to make me feel even better. Our kisses were tight-lipped and chaste. The kitchen door in my mother's home. On one of our nightly calls, he told me what his friend John had said. "He's Catholic and says it's not a sin to French kiss." Richard's voice across the telephone wires sounded urgent and breathless. I checked it out with the nuns in religion class. It was a sin to lie: They admitted John was right. I continued to draw his hands away from my chest. "Why won't you let me touch your beautiful bust?" Richard whispered in agony one night. That was how he said it then, breasts being too intimate a word. We were stretched out in the backseat of his mother's car. I couldn't answer, embarrassed that he'd discover my padded bra and the pimples on my chest. His mother sent him off to private school for reasons I never understood, and I finally met some bad boys. They were demanding and impatient and got nowhere, but bragged afterward as if they had. Only when my first boyfriend returned for vacations could I relax. Only with him would the giggling resume, along with an innocent passion based solely on lingering kisses. He remained in boarding school until graduation. We never went steady, we just took up where we'd left off when he returned home on vacation. In college, I toyed intellectually with my desire. Boys said they loved me, wanted me to be theirs. Tired of being frightened, I decided to control my own destiny. At semester break my freshman year, I knew Richard would be home. His college was in San Francisco, but his education occurred at the Fillmore. 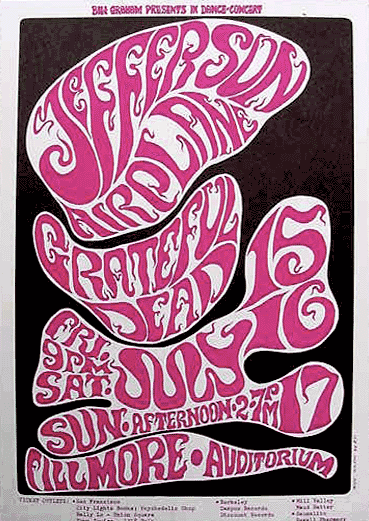 Postcards advertising the bands arrived at my dorm weekly: Jefferson Airplane, Santana, Grateful Dead, Hendrix. He was full of mischief and almost got kicked out of school his first semester for smoking pot. "I told them I fell in love with a girl named Mary Jane," he said. He held up a joint and spoke to it. "I said she'd broken my heart and that I just couldn't concentrate." We'd parked on a deserted plateau, got out of the car and embraced in the moonlight before retiring to the backseat. We kissed as we always had, without thinking. He slipped his hand under my blouse. My pimples had cleared up and bras were no longer in style. I floated back and drew him to me. This was different, and he knew it. I nodded. "Hm-hmm." I didn't talk much in those days, just made decisions and followed through with a fury. It wasn't all that easy. The talking and the condom interrupted the dream. Plus, I hadn't anticipated actually having to help. Complete penetration did not take place. Nor was it ever accomplished by him. No resolution. Richard's mother died, and his letters got crazy. He quit school and joined the Navy. 'Nam was at its peak. Somewhere in that period I burned my diary and all our correspondence. We lost track of each other, but I searched out faces on return trips to New Mexico and always wondered. I went on with my life, falling in and out of relationships. My specialty was premeditated ecstasy. No one could touch the innocent part of me. Richard remained a simple thought in my complex adult life, a precious retreat, still youthful in my memory. I scolded myself: He's probably bald and has a pot belly atop spindly legs. Maybe he's dead. Or worse, maybe he's never given me a second thought. I used the Internet and managed to track down John, our mutual friend and high school French Kiss advisor. He gave me Richard's number and let him know I'd be calling. What was I thinking? I was married, had children, a husband I loved and hemorrhoids. I called him anyway... at his work. An engineer with a schoolteacher wife and two academically gifted children, he was pleasant, but humorless. He was impressed to hear where I lived. "You have done well," he said. Richard had lived in a wealthier part of Santa Fe when we dated, but I'd never felt the distinction until that moment. Dauntless, I explored a memory. "Remember that time when I was living with my aunt, and you called at midnight, drunk as a skunk in your mother's wine cellar, and you begged me to sneak out and take a cab to your house?" "I remember," he said. "I put my wallet with cash to pay the taxi in the mailbox down at the end of our drive, but I timed it wrong, and you'd already come and gone." "Then you wanted me to get back in a taxi and try again." There was only one taxi service in Santa Fe, and I'd left my driver's license with the tired cabbie in lieu of cash. "No telling what might have happened if it had gone according to plan." I didn't know, and that was its allure. "The timing wasn't right," I said. We said goodbye and other things strangers say to each other. A mystery solved, and my memory now tinted with soft regret, I wished like hell that I'd left well-enough alone.